Samsung‘s next M series smartphone, the Galaxy M30, has been popping up on inter-webs quite frequently. A leaked schematic of the phone revealed its design and confirmed that it will come with a Super AMOLED display. The South Korean giant has already launched the Galaxy M10 (review) and Galaxy M20 (review), both of which feature an LCD display. Now, the Galaxy M30 has just received an approval from the FCC (Federal Communications Commission). This means that the phone could be launched very soon by Samsung. The FCC listing provides documents that include some screenshots and information on the device. Although no major hardware details have been revealed by the screenshots and other documents, they do confirm the AMOLED display and the physical size of the phone. The screenshots show the Settings menu and you can clearly see the Always on Display feature, which requires an AMOLED display to function properly. The menu also includes features such as Face Recognition. We are not sure if the Galaxy M30 is the last of the M series, but it is quite a feature packed one. Thanks to the previous leaks, we have learned that the phone could be powered by the Exynos 7904 chipset, a 6.38-inch Full HD+ Super AMOLED display with a notch at the top and a large 5,000mAh battery. The Galaxy M20 features similar specifications, so we can expect the M30 to follow suite. The main difference should be in the camera hardware, as the Galaxy M30 will feature a triple-rear camera setup. 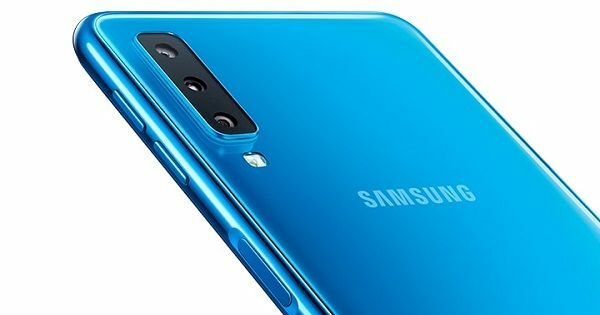 The Samsung Galaxy M30 could be the first affordable phone in the market to feature a triple rear camera setup. According to leaks, the phone will feature a 13+5+5-megapixel setup at the back. You can expect a 16-megapixel selfie camera and up to 6GB of RAM with 128GB of storage. Another important feature on the Galaxy M30 could be the inclusion of 15W fast charging via the USB Type-C port. The phone will also sport a 3.5mm headphone jack and cost less than Rs 20,000. The Galaxy M10 and M20 run on Android 8.1 Oreo, but the M30 could run Android 9.0 Pie out of the box.